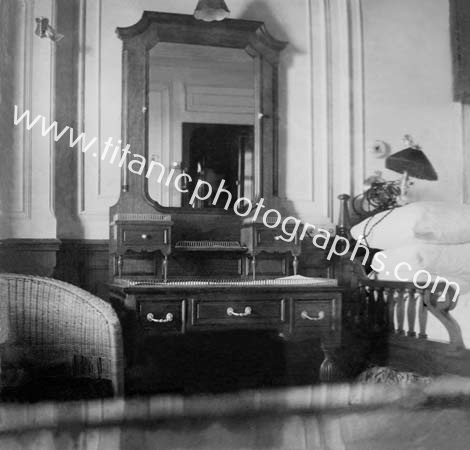 In this second picture of his stateroom a ghostly image of the photographer can be seen in the mirror. Close inspection of the dressing table mirror reveals something of his suite of rooms which consisted of bedroom, sitting room and bathroom. A small detail of his sitting room with a view out of what was either the window or open door can be seen and curiously a very clear detail of his clerical collar.